Current Utah Fishing Reports Weekly! Interactive Utah Fishing Map Cool! New law regarding access to waters running over private lands - how does it affect you? Utah Fishing Information is the best source of information about fishing Utah lakes, reservoirs, rivers, streams and ponds. 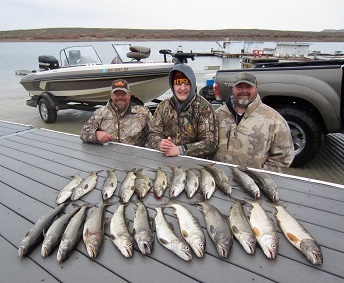 Whether you're looking for some quick facts about your favorite lake or river in Utah, or you want to find the best place to fish for your favorite species of fish, we've got exactly what you need. 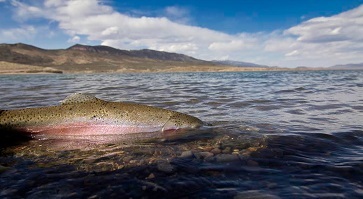 Here you can find pictures and descriptions of all Utah game fish species, such as native cutthroat trout, walleye, bass or yellow perch. You can also find which Utah waters you can visit to find trout, bass, catfish, or any other Utah fish. Want to visit a lake or river that you've never tried before? Come here first and learn about which species of fish are present there, what are the regulations for those fish, and how can you best target them. Utah Fishing Information is the latest and best source of information for fishing in Utah. Looking for new places to fish? Ready to explore some of Utah's amazing backcountry? Check out the interactive Utah Fishing Map to learn about and find new a lake, river or Community Pond near you to fish. Visit our Current Fishing Reports for up to date info on how the fishing is on your favorite water to prepare you for your next outing. Our fishing reports are updated weekly. Are you ever curious about when and where the Utah Division of Wildlife Resources (DWR) stocks fish, and what species and how many they stock into different Utah waters? Click here to go to our Utah Fish stocking report to find out! You can also go back and look at previous years all the way back to 2004. Use our Current Fishing Bag & Possession Limits page for a quick reference for general statewide limits for each species of gamefish in Utah. Of course, regulations are updated often by the Utah DWR, so always be sure to check the current year Fishing Guide before you head out. This site is being enhanced and upgraded often, so make sure you add it to your favorites and visit often. Features that will be added soon include: additional lakes and rivers, additional fish species (such as nongame fish, baitfish, etc. ), additional fishing techniques and tips, more photos and much more. Make sure to visit often to see what's new! If you have any suggestions for content to add, please visit our Contact Us page and leave us a message. We will be happy to add information on any related fishing topic. Don&apos;t forget to add this site to your favorites (bookmarks), so you can come back and visit often and see what&apos;s new at Utah Fishing Info!